Here you request bitmaps for your campaigns. A: A bitmap (or BMP) is a Windows image file, Star Wars: Galactic Battlegrounds uses this file type for the instructions page. A: Star Wars: Galactic Battlegrounds can only accept certain shades of blue, white, red, and black for ingame bitmaps that will be displayed on the instruction page. Most designers make two verisons of your bitmap: Normal, and one with the palette loaded. If a designer does not give you a bitmap with the palette loaded you make ask him for it. Q: What is the proper size for a bitmap? A: The proper size for a bitmap is 548x288 px. Q: Where can I get the Star Wars: Galactic Battlegrounds palette? And how do I apply it to my bitmap? Q: How do I put bitmaps into my instruction screen? A: First you insert the BMP into the: "C:\Program Files\LucasArts\Star Wars Galactic Battlegrounds\Game" folder. With that done, enter the game’s (SWGB.) Scenario Editor, click on the "Cinematics" tab then use the down bar labeled: "Scenario Instruction Map" to select your bitmap! Q: Why is this thread above all the others? A: Because my threads are much better than yours. - A request can be filled by anyone, and there is no list of designers. - If your request is not filled asking for it 2+ times will not do any good, so just don't. - Please do not flame in this thread. Can u make a bitmap that has that scene with those arc-170 fighting and at the bottom it says arc-170 in gold letters would be nice. -A sith who is being massacred or is about to be massacred. Nintendo is far superior to sony. 3)Pallet it and submit it here. Please Blacky I need it soon. Can someone anyone(who can do it very well) please make me a bitmap for my upcoming campaign? I'll even let the person who does play test as soon as I learn how to do all the complicated crap & stuff like screenies, please my campaign is as dead as door nail without a bitmap. Also I was wondering if someone could help me design some levels. Most Sith carry boring red sabers but I carry a cyan saber , perfect for gutting movie haters in style. Bastards! The Sith Rule The Galaxy ! I'll help with a bitmap... whaddaya need? I need a bitmap of a star destroyer in a really cool pose. But there is one thing, I never figured out how to make a bit map useable in the game, plus palleting kills the picture. Okay wolfen, one really cool bitmap, coming up. 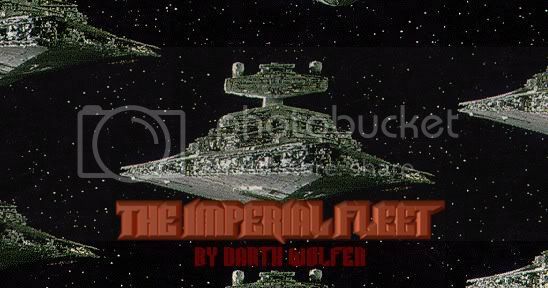 The Imperial Fleet is that OK? Ok then, also is it possible to pallete it without screwing up the pic? I have to go to my dad's now... I'll get it up ASAP. & now I play the waiting game, "Chess" I never win unless my opponent is drunk, dead, or both. Can I get a bitmap for a campaign I'm working on? I'd like [url]http://www.sharpfish.net/kashyyk.jpg[url] as the background image (if need be, add black outlines on the bottom and top, and add the writing "Kashyyyk" in the middle, with "by Thrawnie Hunter" in the bottom right hand corner. If anyone would be kind enough to make this for me, that would be great, and if you can apply the pallete, even better. Edit: Oh... dear. I've had a go at it myself, and it didn't go too well. Image doesn't work. So, I would like any image of Kashyyyk, as long as it is from episode 3 and contains a Wookiee. And I'd like the aurabesh font used in the bitmap, as well as the Star Wars font (Star Vader is the one I tested with). Good luck! Here you go, Wolfen. If you want me to add pallette as well, just ask. 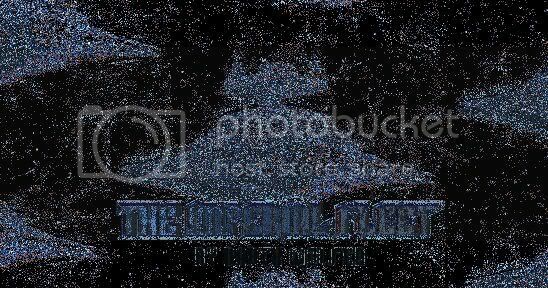 I need a bitmap for my Farscape campaign. And what else would you like for your next campaign? GG, you want a Bitmap for your Farscape CPN, how do you want it to be? With What? AWSOME, I had no idea the SD looked so cool on a BMP! Also that would be great if you could pallete it for me. EDIT: Does this mean I'm a playtester? Yes, but I still need to get started on some levels first. I also still have to decide which trigger systems to use. But Yeah you are a playtester if you still want to be.